Utilizing a special composite material, Intro-Tech Automotive HEXOMAT Cargo Liners are always on duty against the worst potential enemies of your vehicle's interior. 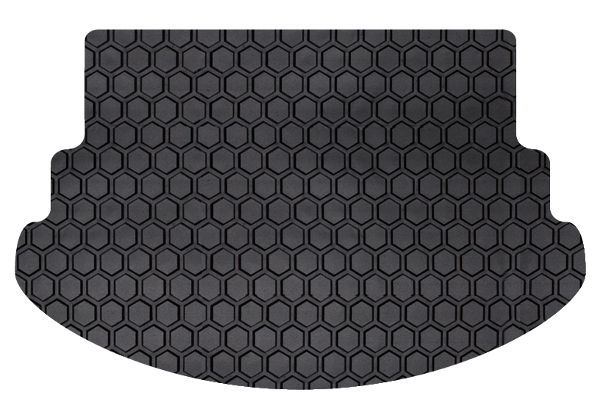 Made to be flexible yet rigid, tough yet smooth-looking, The HEXOMAT boasts a unique honeycomb pattern that swallows moisture, spills and even mud. It won't crack, fade, break, or otherwise deteriorate. 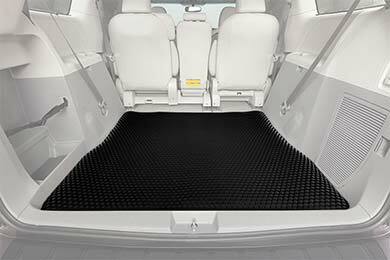 For protection that stays in place, the Intro-Tech Automotive HEXOMAT Cargo Liners employ steadfast nibs-not scarring spikes-to prevent bunching and shifting that can expose carpet. Plus, the generous edge-to-edge design makes for sleek, low-profile looks that are custom-cut for an exact shape. 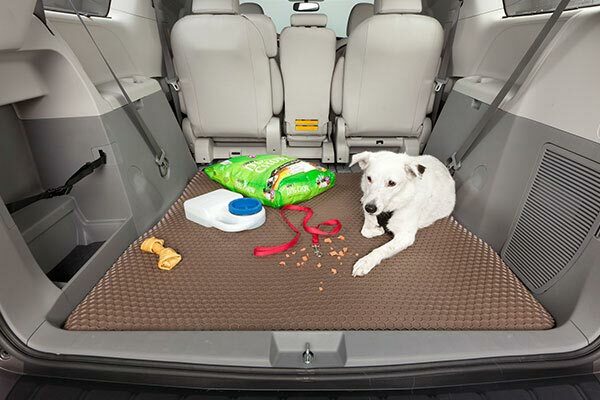 The HEXOMAT cargo liner showcases 4 universal color options: Black, Grey, Tan and Clear. Each is computer-cut to the exact dimensions of your vehicle. 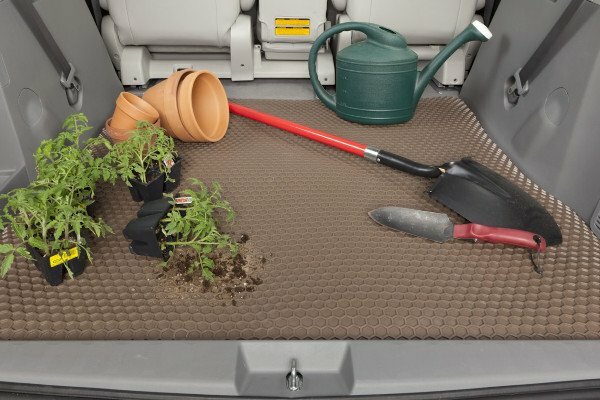 Best yet, your Intro-Tech Automotive HEXOMAT Cargo Liners are covered by a Lifetime Warranty. Great price,Great delivery time,Great fit. 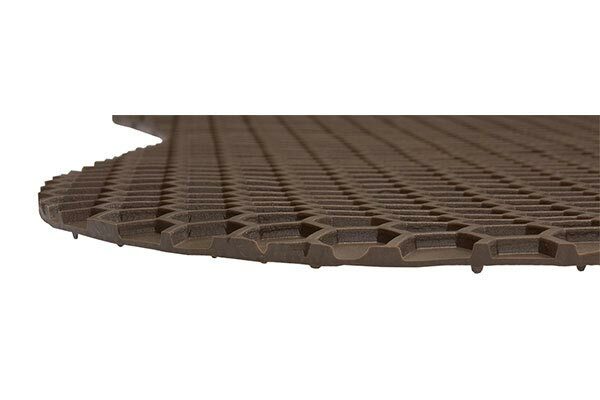 Mat is light enough to remove and clean easily. Catches water and spills. Also, it is not slippery and things stay put.No lip to catch things on. However, when 2nd row seat is flipped up there will be an area of floor not covered by mat. Fits perfectly in 2015 4Runner. Looks good, too! 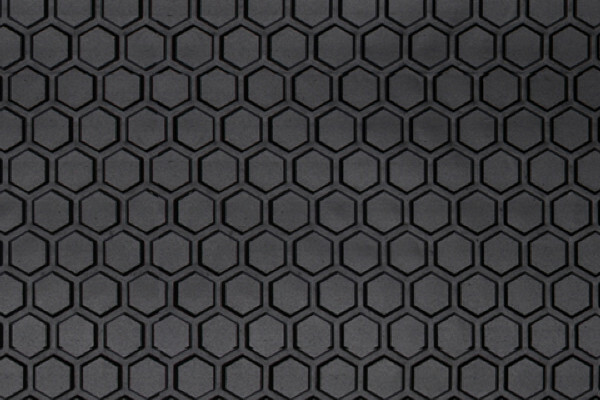 Love the hexagonal design. 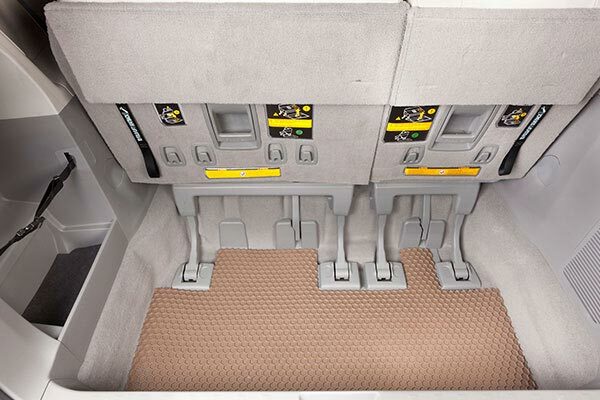 This is my 3 set of liners that cover the cargo area and the seat back areas when the rear seats are folder. 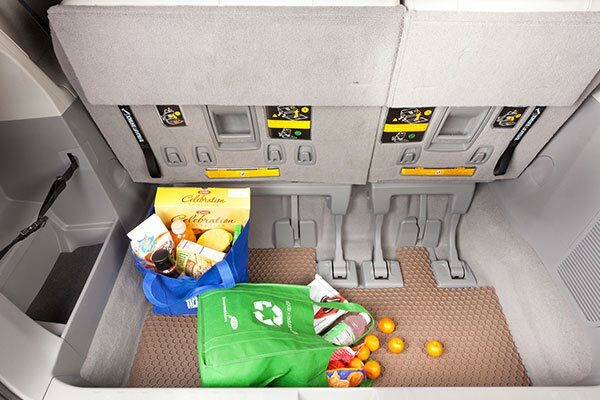 Perfect fit and the Hexomat design keeps items from sliding around in the cargo area. Reference # 765-165-483 © 2000-2019 AutoAnything, Inc.